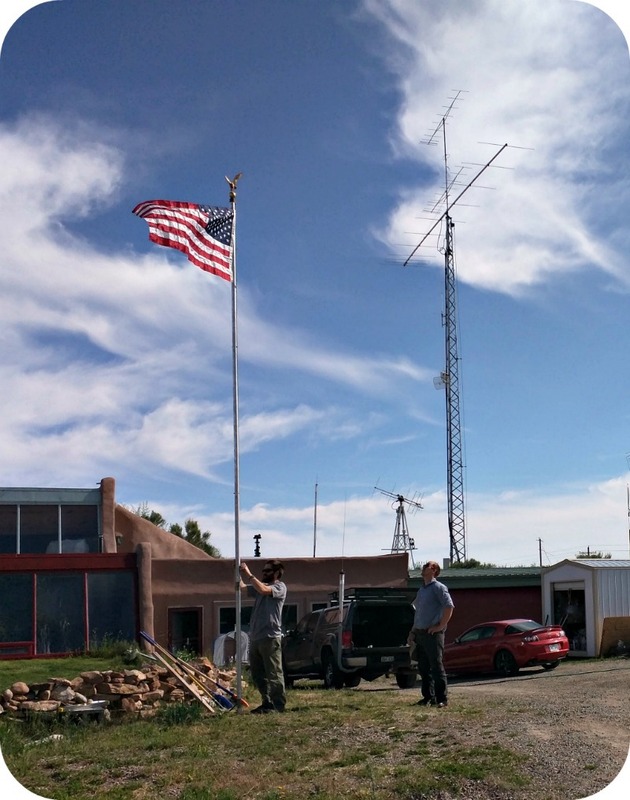 Does your neighborhood forbid antennas but allow flagpoles? Is tearing up your lawn to lay 64 radials not an option? Or maybe you just want a high-performance, easy to install all-band HF antenna? Our Flagpole Antennas have been long-time best sellers known both for their outstanding performance and for their stealthy demeanor. They look like real flagpoles (and they are indeed real flagpoles) and they radiate very nicely. Their only drawback was that they were ground plane vertical designs thus required radial ground systems to work properly. And, if you know ground plane verticals, you know that you need a lot of copper on the ground to achieve an efficient ground system (16 quarter wave radials, at least, many purists recommend 64). So, we went back to the drawing board. We challenged antenna designer, QST author, and inhabitant of a neighborhood where towers and Yagis would not go down well, John Portune, W6NBC, to come up with a compact vertical dipole with its feedline hidden inside the lower tubing sections and which would be ATU “friendly” delivering good VSWR matches on all bands 80m through 10m with popular autotuners, in particular the new breed of outdoor rated units. John delivered, in spades. John opted for an OCF design which makes it easier in most cases for ATUs to find a good match across a wide swatch of spectrum. 20 foot, by the way, is a common upper limit in many neighborhood flagpole height CC&R regs. Since we’re Force 12, we didn’t cut any corners. Tubing is our usual aircraft grade 6063-T832 aluminum, 2-inch OD top to bottom, thick fiberglass insulators at the feed and base, stainless hardware, Davis RF Buryflex coax and genuine Amphenol PL-259 connector for the pigtail, plus six Mix 31 ferrite beads from KF7P Metalwerks for the common mode choke. We even have an optional golden eagle to crown your flagpole! Let Old Glory flap in the wind while you work DX, what could be better? Considering a 43 foot vertical? Here’s the downside of that option: FPA-20F-OCF is less than half that height, doesn’t need radials, and has lower angle of radiation on many bands. Bigger is not necessarily better! With the supplied six Mix 31 ferrite beads in the common mode choke (which we think are preferable to Mix 43 ferrite for all band HF applications) we recommend you keep your transmit power to 200 W ICAS or less and also be cognizant of Federal radiation exposure regulations if your Flagpole Antenna is near your residence or where people may gather. You can run higher power. However, we recommend the optional Balun Designs balun for installations running > 200 W ICAS. Installation couldn’t be easier. 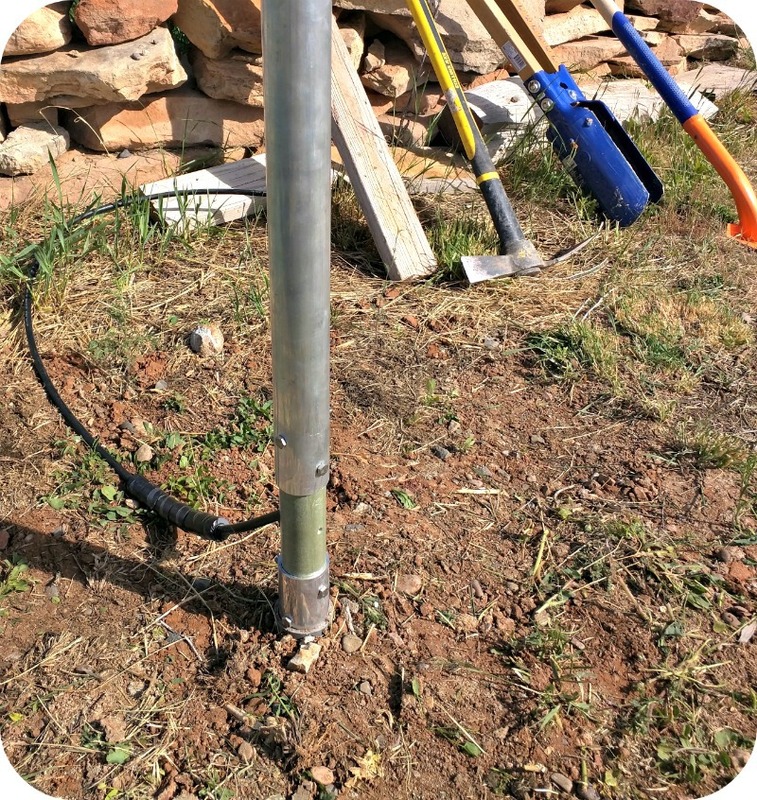 Three feet of PVC tubing (supplied) buried in compacted soil will be enough in most locations to support the antenna. Of course, you’re welcome to install in concrete, on your rooftop or deck or other locations. If you have any concerns about installation, we recommend consulting a PE. FPA-20F-OCF has been engineered to withstand 90 MPH wind gusts with the flag removed, according to “Guide Specifications for Design of Metal Flagpoles,” ANSI/NAAMM FP 1001-07. This was used rather than ANSI/TIA-222-G (regulating antennas and towers) as this standard will be the one needed by building committees for flagpole structural analysis (you are telling your building committee that you’re installing a flagpole, not an antenna, right?). In any event, you will want to remove your flag when very high winds are forecast to prevent damage to your flag itself. 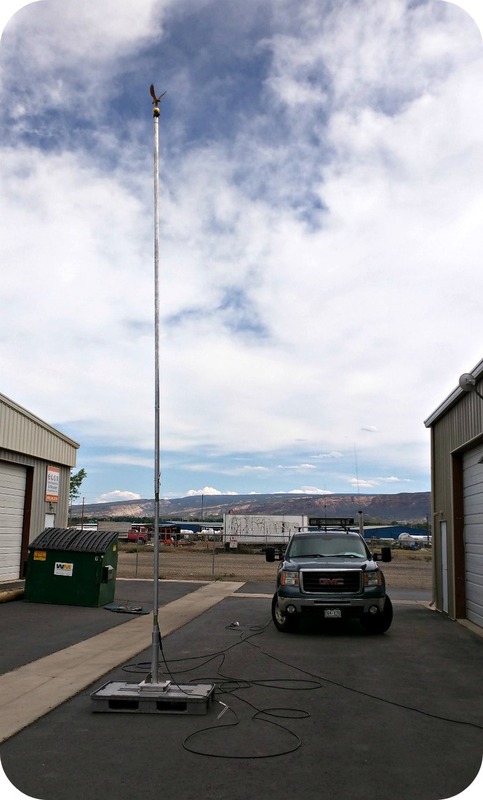 We can powder coat paint your Flagpole Antenna any of dozens of different colors. 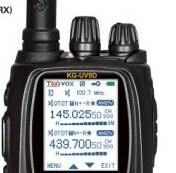 As this a great portable, quick-deploy, emcomm, DXpedition, IOTA, Field Day, et al, antenna, we will soon have a wide variety of application-specific options. If you’re interested taking your FPA-20F-OCF far from home, get in touch with us about the possibilities.